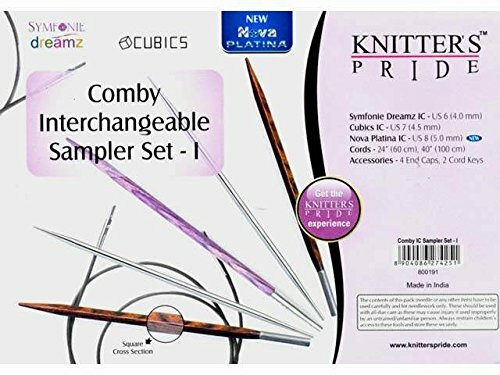 Great sets for introducing interchangeable needles to knitters, and testing which tip they prefer. Each set includes three pairs of tips in a clear vinyl case with 2 cords (to make 24" and 40"), 4 end caps, 2 cord keys. -- Sampler I contains a pair each of Symfonie Dreamz - US 6 (4.0mm), Cubics Rose - US 7 (4.5mm), and Nova Platina - US 8 (5.0mm) tips. 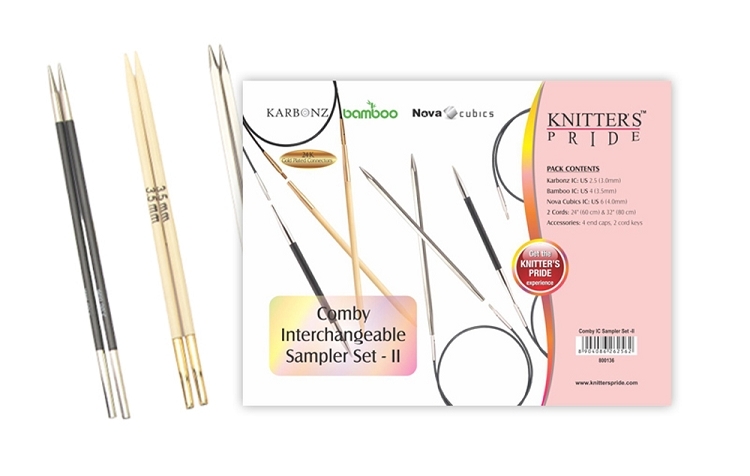 -- Sampler II (old) contains a pair each of Karbonz - US 2.5 (3.0mm), Bamboo - US 4 (3.5mm), and Nova Cubics Platina - US 6 (4.0mm) tips. This set has been discontinued, but is still in stock. 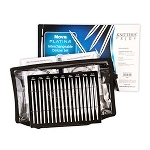 -- Sampler II (new) contains a pair each of Karbonz - US 2.5 (3.0mm), Nova Cubics Platina - US 6 (4.0mm), and Royale - US 8 (5.0mm) tips. Additional cords are available separately.